In 2015 + 2016, BRIDES MAGAZINE reached out to thousands of brides across the nation, asking each of them to rate + review their dress shopping experiences. As a result, MAGGIE LOUISE was named a TOP 50 BEST BRIDAL SALON IN AMERICA. 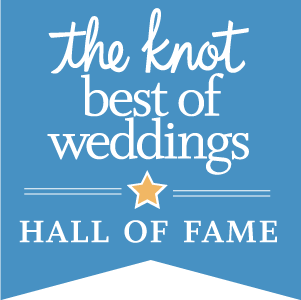 Since 2013, MAGGIE LOUISE has won "BEST OF WEDDINGS" by THEKNOT.COM + now holds a spot in the HALL OF FAME for being the best + most-rated wedding professional in the region. 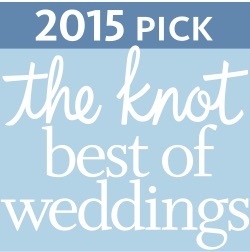 CLICK HERE TO READ OVER 350 REVIEWS ON THE KNOT FROM OUR MAGGIE LOUISE BRIDES. Ranking in the top five percent of wedding professionals, MAGGIE LOUISE has been named "COUPLES' CHOICE" by WEDDINGWIRE for demonstrating excellence in quality, service, responsiveness, + professionalism. 2015 Bridal Issue feature, "Something New"